Do you remember the oldies 'Aiskrim potong'? If you are Malaysian then this ice cream 'Aiskrim potong' will remind you on your childhood days. I remember those days favourite flavour Kacang Merah. These days they have varieties of savoury flavours to choose from. Recently King's the famous brand in Malaysia came out with new Malaysian flavours' 'Bijan Hitam' (Black Sesame) and Signature Thai Mango, along with a bold new revamped packaging. 'Bijan Hitam' (Black Sesame) traditionally served as hot soup, this twist on the Japanese dessert Black Sesame flavour has the same traditional taste that is popular amongst the generations but in form of a cold twist indulgent treat during the hot weather. You can now enjoy this sweet treat without worrying about straying far from the healthy lifestyle. It is also known to boost nutrient absorption. I could say this refreshingly icy-cold treat delights will uniquely captivate your tongue with the toasted aroma of black sesame. I am not a big fan of ripe mangoes taste. But King's has nailed it! They sourced mangoes from Thailand, the Oak-Rong Mango which is the most sought-after mango due to its sweetness and juiciness. You don't have to go all the way to Thailand to taste this famous mango. 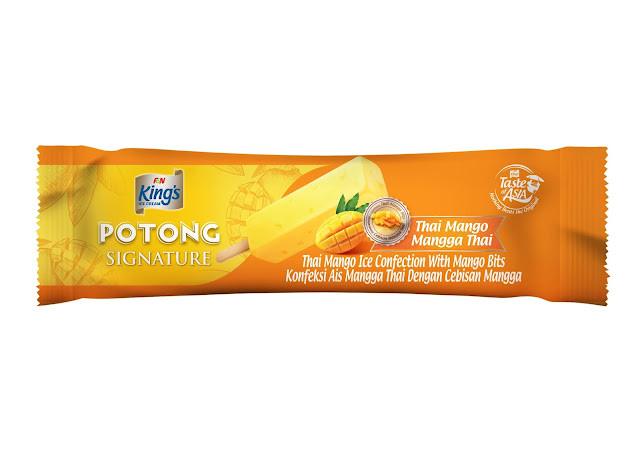 You can now taste it through 'Aiskrim Potong', which now comes with The Signature Thai Mango flavour. I could say the taste as closest to the real fruit! Kicking off the launch of these 2 amazing flavors, King's has also revamped the Potong's packaging in brighter, vibrant colors to match their bold flavors. Staying true to the classic Potong design, the sophisticated new packaging features the same colors familiar to generations of Malaysian but in bolder hues to appeal to today's youth and younger generation. F&N Creameries (M) Sdn Bhd (formerly known as King’s Creameries) is a wholly-owned subsidiary of food, beverage and property conglomerate Fraser and Neave, Limited. The company has its manufacturing factory in Shah Alam and produces a full range of certified HALAL ice creams from take home tubs to sticks in both unique and traditional flavours. The ice cream is marketed to a myriad of customers including Malaysia, Singapore, Brunei, Thailand, China, Philippines, Cambodia, East Timor, Indonesia, Philippines, Hong Kong, and Macau. Having just celebrated its 36th birthday in February 2011, the company has been awarded Veterinary Health Mark (VHM) and Hazard Analysis Critical Control Point (HACCP). This marks another milestone in the Group’s objective in achieving product excellence while delivering great value to its customer. The company’s other achievements include obtaining Superbrand’s endorsement. This prestigious achievement represents the highest mark of brand status for the company. The company has always believed in giving back to the community and has generously donated to charities that support the underprivileged. Sedapnya Ice Cream. Musim panas ni makan apa jenis ice cream pun sedap. 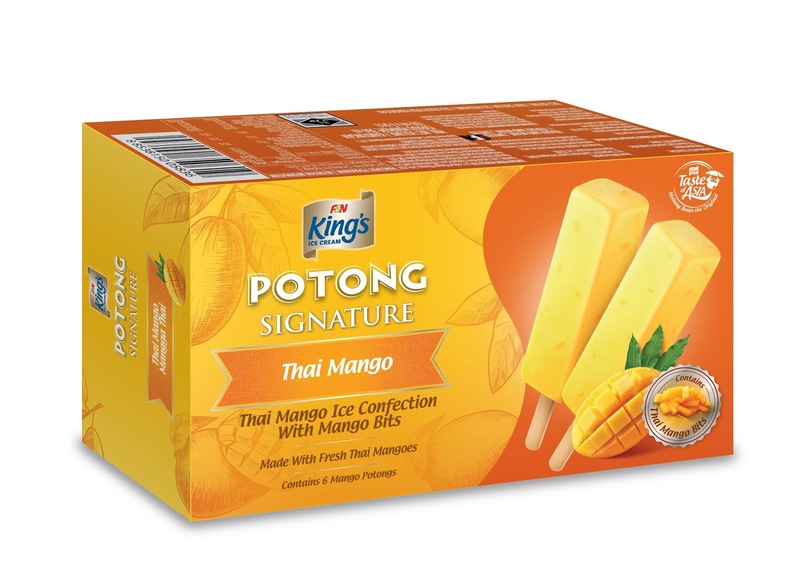 Tapi saya teringin nak rasa ice cream potong perisa Thai Mango tu. NYUMS!!! Long time to eat ice cream potong this time now there are many flavors of wow best hehehe we are the ice cream lovers after we buy all the try to try. I like this kind of ice cream potong.. reminds me on my childhood days.. hahahaha~ nice and yummy! 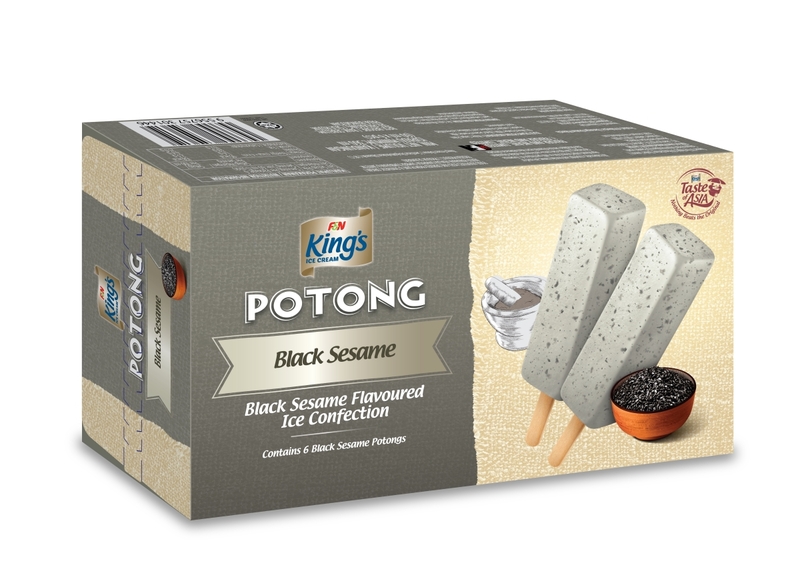 I want try the sesame potong ice cream. Look good and taste nice. 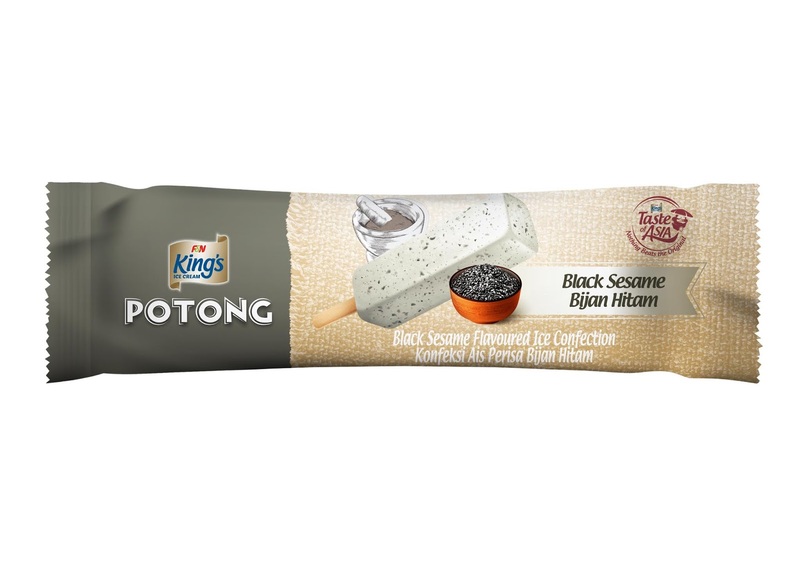 Kings always my favorite ice cream potong. Flavor baru bijan hitam? Apa rasa dia ek..dh lma xmkn aiskrim ptong ... Tp suka aiskrim brands king's ni sbb sedap juga.. Nnti nk rasa la yg baru ni..
Kings ni antara aiskrim fav i..sedap aiskrim dia esp aiskrim potong tu..i suka yg kacang merah tu..oh my sedap gile!